Mark and Judi were married in 1980, they have four children and seven grandchildren. Mark has served in full-time pastoral ministry since 1977. 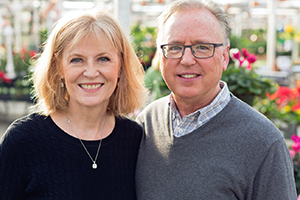 Today, Mark and Judi lead Shepherd Ministries which is reaching out to University students, ministers to those who have left the local church, and provides encouragement to pastors. In their roles as VISA missionaries, Mark and Judi will provide pastoral care and support to Free Methodist missionaries in Asia. Their role includes encouragement and spiritual nurture via emails, phone calls, and field visits.